IMG Media is a worldwide leader in sports programming and currently owns the only sports channel broadcasting live sports while inflight. IMG challenged us to design and build a meeting space to showcase their unique product offerings at the Airline Passenger Experience Expo in Long Beach, California. The booth was built with sports fans in mind. 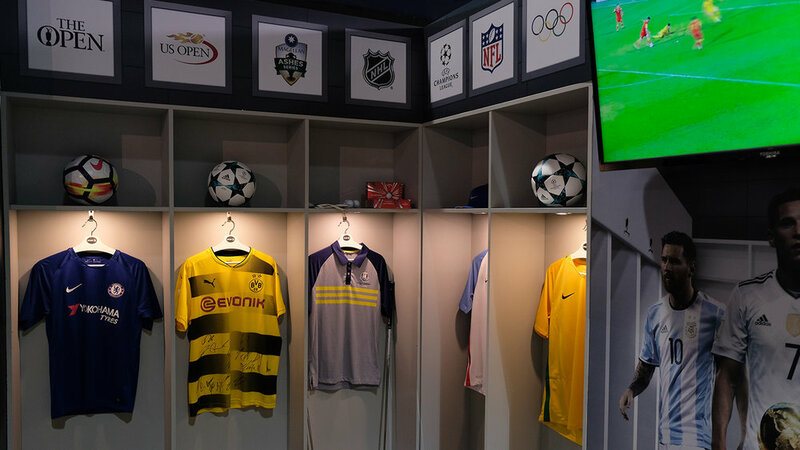 The locker room design featured international jerseys from five countries and five continents highlighting IMG’s global reach. Celebrating the teams, leagues and players that truly set IMG apart became the perfect backdrop for IMG to network and meet throughout the weekend.